Posted on August 17, 2015 by Dramabee Kids! Let’s Act! – In this series of 10 fun workshops aimed at kids aged 7 to 10 years we will cover the basics of acting and improvisation! Using theatre games, movement and acting exercises we will work on group and individual creative expression both through storytelling and creating characters. CREATE SCENES (with help from Catherine) AND ACT THEM OUT! Teacher, Catherine Allison attended Dartington College of Arts in Devon, England for her BA in Theatre Studies and then went on to train in physical theatre with Jacgues LeCoq and Philippe Gaulier in Paris. She has toured as an actress with theatre companies all over Europe and was recently accepted as a company member at The Actors Gang in Culver City. She has been teaching drama to both adults and children for the past eight years and loves this work! At The Electric Lodge, 1416 Electric Avenue, Venice CA 90291. Cost $25 per class on a drop in basis or $180 for the series. Posted on August 10, 2015 by Dramabee Kids! Our next series is just around the corner! 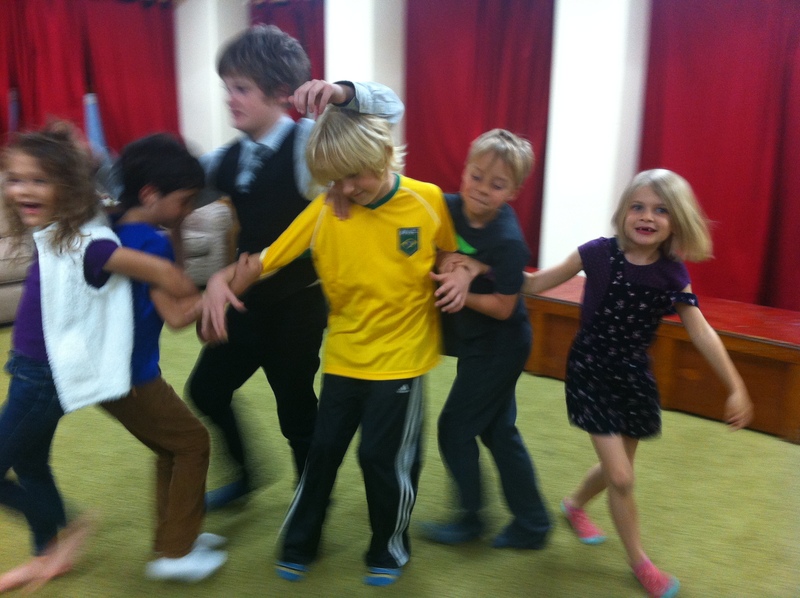 Looking forward to more fun drama with your kids very soon! !